I recently signed up for a credit and prepaid card(3 - 4 months ago) and only linked my prepaid account to my AWS account . Surprise surprise trying to upgrade(Remove Ads) on an app to premium in #google playstore. I was presented with a buy with #Gpay payment methods Visa- ####. A quick research online shows prevalence of #google purchasing local/offline payment transactions from as early as 2014 from #Reddit rumblings here and here to more prominent articles such as MIT tech’s Review in 2017. 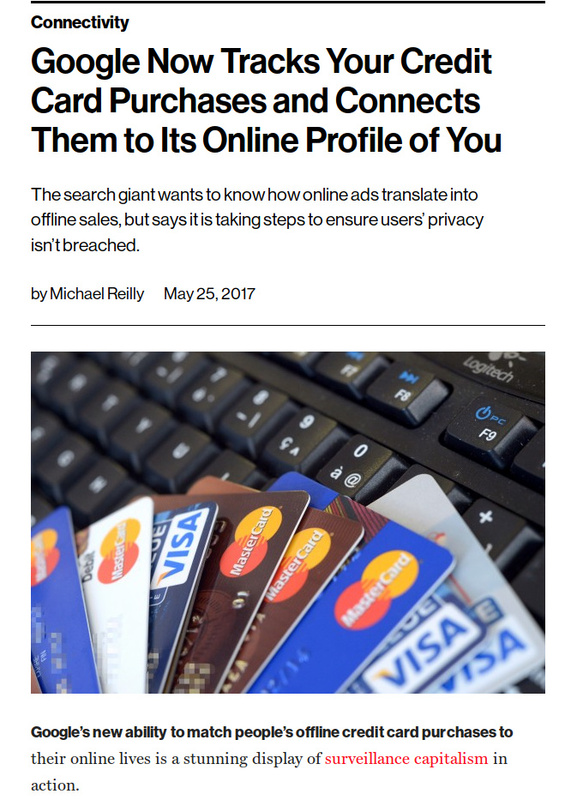 This broadens in scope further than your smart phone and computer to institutions that hold sensitive data about you be it Govt or not(Insurance, healthcare, retailers etc…). It’s not all doom and gloom with 2 bills being proposed currently for a Data Protection Law https://techweez.com/2018/11/13/review-kenya-data-protection-bill/ courtesy of June Okal and Techweez for coverage. 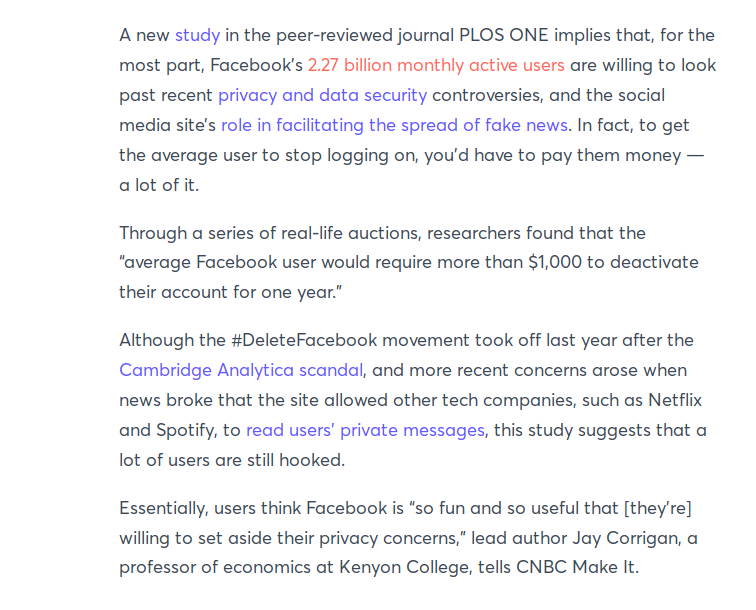 The former may not have had serious breaches or it’s data used in controversial ways but the extent to which it has data about you may be much more significant than #Facebook. Recent reports on studies indicate that average Facebook users would have to be paid 1000$ to stop using #Facebook for only an year. For things that cannot be easily substituted or replaced like Govt institutions makes it impossible. Are you concerned about your data privacy? What was your Aha! that you thought was private/confidential? Have you been able to replace services/apps you feel are excessive? Surprise surprise trying to upgrade(Remove Ads) on an app to premium in #google playstore. I was presented with a buy with #Gpay payment methods Visa- #### . This is scary although not entirely surprising from Google. Implementation will determine the success or failure of this piece of legislation. IMO in this country we don’t take data privacy seriously enough. What was your Aha! that you thought was private/confidential? The Snowden leaks (remember them?) was a real eye opener for me. 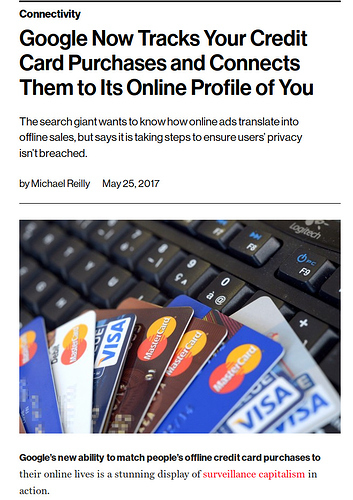 Unfortunately the scale of abuse of personal data by both private companies and governments seems to have gotten worse since then. Have you been able to replace services/apps you feel are excessive? I’ve managed to wean myself off social media, closing my Facebook, Twitter, LinkedIn and migrating from Gmail to a personal domain powered by Protonmail. Another good webmail alternative is Tutanota. Whatsapp is the only exception because it is the de facto communication medium between Kenyans. Another significant change is that I am more thorough with my account settings and computer/ phone configurations. A password manager is a good idea, where possible true two factor authentication and using Have I Been Pwned to monitor and alert on data breaches. On the configuration side; Google Chrome was the first to go, default off location settings is a force of habit now, ad blocking by default and all sort of small tweaks and enhancements. I feel that I have more control over my data than the average user however the big tech firms and state agencies still have too much access. Gmail to a personal domain powered by Protonmail. I have been slacking on this but will definitely do it step by step…but a different approach of hosting my own mail, photos, open office etc… in a home and remote server. 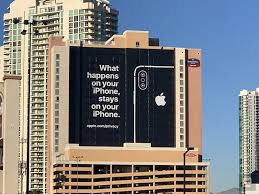 Curios to know if either team #android or #iOS …If it’s #android I really doubt location collection is turned off completely unless you’re running something on top like CopperheadOs. I just hope #Mozilla’s JS engine doesn’t differ so much from Chromium’s where due to market share we start to see "For the best experience use Chrome/Edge etc… "
I guess it’ll get more worse with agencies digitizing their operations in information systems accessible/operating on the internet. This sort of permissions should be opt in by default. The nightmare of managing the privacy settings on a Google account is proof enough. It is easier these days but that’s because of strict European Union privacy laws and not Google themselves. There are some great email and file hosting alternatives out there. For file storage I recommend mega. A free account gives you 50 gigs free and for 30 Euros you can get 8TB per month. A more advanced user should definitely have a seedbox. Rooted Android with custom firewall rules. In this era where everything from Bluetooth to the accelerometer are fair game, fully locking down Android is difficult. These days Firefox has feature parity with Chrome plus its faster and kinder on resources. Mozilla’s Project Quantum has done a lot to revive the old man of the Internet. "For the best experience use Chrome/Edge etc… "
China’s social credit system cited in the first post is scary as it is. The 'Huduma Namba' database will be “the authentic single source of truth on personal identity"
The Integrated Population Registration System (IPRS) will store data of all Kenyans and visitors at the central location for easy electronic access by institutions, including private corporations that provide crucial and sensitive services. At the touch of a button, it would produce one’s details stored at the various registries including births and deaths, marriages and divorce, as well as passport, aliens, ID cards and citizenship registers. Such details will be linked and relayed in real time to other agencies like Lands registry, National Social Security Fund, law enforcement agencies, National Hospital Insurance Fund, Kenya Revenue Authority, financial agencies, immigrations, National Transport and Safety Authority, Independent Electoral and Electoral and Boundaries Commission and universities. These activities go in line with e-government functions, where accountability of actions or records is one of the key requirements. While the details of the process are yet to be revealed, the government would like to know which Kenyan has taken a specific action, or which citizen is the owner of a certain record. On the other hand, we can only speculate that the government is trying to streamline these records for accountability, which may strongly rely on Huduma Numbers. This follows President Uhuru Kenyatta’s approval of amendments to the Registration of Persons Act that has included the two to the list of requirements needed at the national people’s registry. Adults applying for documents such as IDs will be required to provide additional information about their location, including land reference number, plot number or house number. Anyone who comes across that bill awekelee hapa we see what our options are. How could I forget this? @june.tessy did review the bill in an article here. A Review of the Kenya Data Protection Taskforce Bill submitted to ICT Cabinet Sectetary Joe Mucheru for review. This integration is important especially for security purposes and to kinda help reduce fraud but the elephant in the room is our data safe & under what circumstances will the data be used first address the data security before the collection of all these information because last i remember the e-citizen portal is hack-able and not that secure. the e-citizen portal is hack-able and not that secure. Every system in existence is “hack-able”, that is not up for discussion. In your opinion what makes e-citizen so insecure? That’s some good analysis. Data portability is a big win as is privacy by design. I am also happy that in this era of the cloud, data must not necessarily be stored locally. If the bill passes, implementation and building local capacity will be it’s own challenge. But on the issue of institutions, IMO the office is necessary and comendable move towards regulating the data market in Kenya. A line needs to be drawn though, between the powers and roles of the Data Commissioner v. the functions and powers of the Commission on Administration of Justice currently empowered to handle govt. data (generic term for information in possession by Govt.) under the Access to Information Act. According to Interior Principal Secretary Karanja Kibicho, lack of registration on the NIIMS portal will lead to missing out on accessing government services, ID, passport, driving licenses and birth certificates. am not boarding this train of NIIMS it got serious privacy flaws and any breach of my privacy is not a welcomed move ppl survive without ids out here why would i go the mile of exposing my whole life to access gov’t services am sure someone will be in court battling this. It’s compulsory and more significantly you will not be able to access government services without it. Outside of really remote parts of this country this is not practical at all. On a more positive note, NIIMS seems to have been passed through the backdoor by parliament meaning a legal challenge is a possibility and as a nation, we can highlight the importance of data privacy. Here in the real world some of these services are not luxuries that one can opt out of. The phrase you are looking for is pambana na hali yako. They are not government services but public services, denying one public services is illegal. For both legal and ethical reasons, services like access to healthcare and security services are undeniable rights. On the other hand an adult Kenyan citizen is legally required to possess a KRA Pin certificate and ensure their tax obligations are in order. You could choose to opt out at the expense of denying yourself access to other services. These are semantics, government is the people.